Home > Lawn and Garden > Golf and Turf Equipment Belts and Parts > Comet 300707C (John Deere AET10637) AMT 300707C Secondary Clutch. 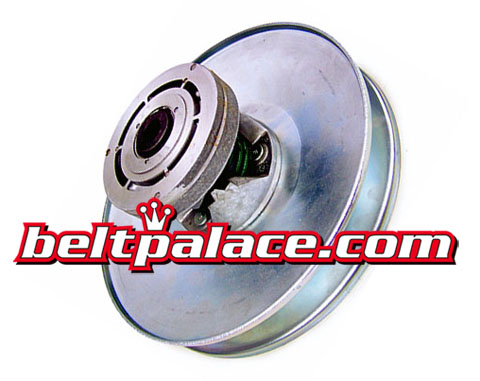 Comet 300707-C Secondary Clutch. (John Deere AET10637) AMT 300707C Secondary Clutch. Fits John Deere AMT 600, 622, 626 Models requiring 3/4" Bore Shaft and 11.25" Diameter Secondary Clutch. 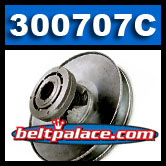 300707C Comet Industries 860 Series Centrifugal Clutch. Transaxle (driven) clutch for John Deere AMT 622, John Deere AMT 600, John Deere AMT 626. For Golf/Turf use: John Deere Bunker/Sand Rake machines. 3/4" Bore, 3/16" Keyway, 11-1/4" Diameter. Use ONLY with Comet Industries (John Deere) Symmetric 1-3/16" Wide torque converter belts. Comet 302307-A �6 Button� Kit. Comet Industries 500 Series Driven Clutch Button Kit. Sold as package of 6.